Botox isn’t for everyone! Some people have a fear of needles or are just not comfortable with the idea. Let’s take a look at some alternatives. Before we judge it’s important to know exactly what Botox is as people tend to believe a lot of false truths. 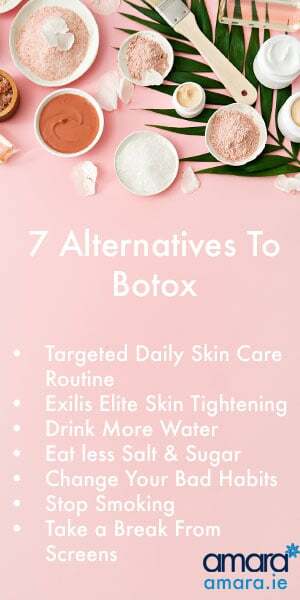 Botulinum Toxin is a toxin – the original brand Botox is made by Allergan a pharmaceutical company based in Ireland. 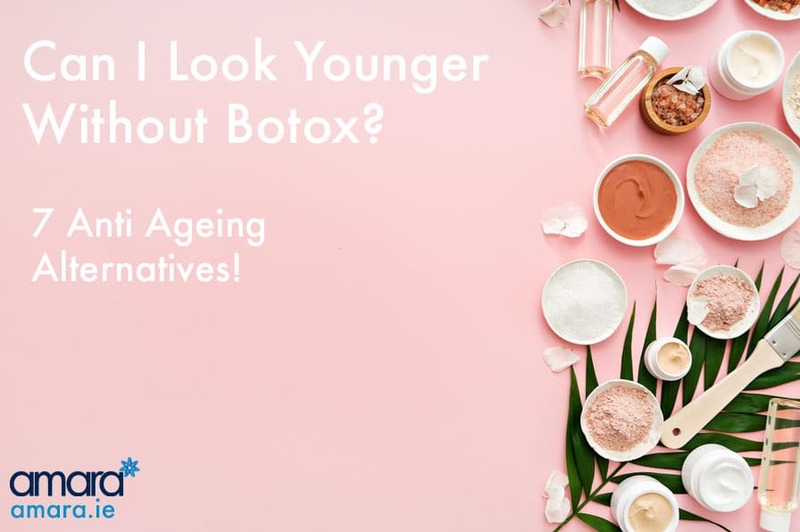 Botox works by numbing the muscles where it is injected – this stops us from moving those muscles as much and therefore creating more wrinkles! That’s it simple! It other areas like sweat or pain treatment the Botox still works by numbing the muscles it is injected into. Of course plastic surgery and facelifts are an expensive way of looking younger however there have been huge advancements in skin treatments! Using Radiofrequency and Ultrasound the Exilis Elite tightens skin and contours your face, jawline and neck. Using the heat your muscles contract and tighten – results can be seen almost immediately after your first treatment however a minimum of 4 treatments are required for results. After your final treatment it will continue to work for up to 3 months! With all of the available treatments your best results will still work the best if your skin is the best condition it can be at home! Like going to the gym every day if your diet isn’t matching up then it’s unlikely that you will see the results you could have! This daily routine will help renew your skin cells as well as protect! SPF Smart Tone 50 or SPF 30 mattifying primer. Depending on what you need this may vary – but it is important to start with a good cleanser and wear SPF daily to protect from ageing and sun damage. Many of us are doing daily things like not wearing SPF that are ageing us much more than we think! Not drinking enough water leaves our bodies and skin dehydrated. If our skin is dehydrated then it is more likely to get wrinkles. Drinking more water and less dehydrating foods and drink is a big help to your overall health! Our foods are key to our internal health and skin health. Sugar and salt dehydrate us and and are also responsible for many breakouts! Depending On the individual other things like dairy can affect acne while high citrus foods can flare up Rosacea or sensitive skin! This is an obvious one but apart from your overall health smoking seriously affects your skin and your looks! Carbon Monoxide from smoking cuts off oxygen in your skin – reducing blood blow leaving skin dry and discoloured. Smoking also cuts off nutrients from your skin making it more prone to damage. Screens emit blue lights (different from LED) which emit UV rays into your skin! These are the same dangerous waves that the sun emits causing damage and premature ageing. Wearing SPF daily can help stop these UV waves from entering the skin. Consistently looking at the screen also causes eye strain – which causes use to squint – leading to wrinkles and headaches! Worried about ageing? Contact us to find out more now!